The polyglutamine expansion in huntingtin protein causes Huntington’s disease. 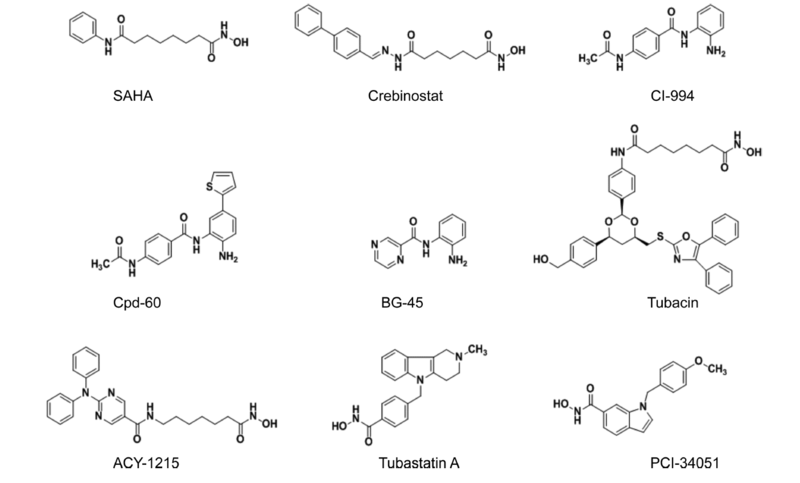 Here, we investigated structural and biochemical properties of huntingtin and the effect of the polyglutamine expansion using various biophysical experiments including circular dichroism, single-particle electron microscopy and cross-linking mass spectrometry. 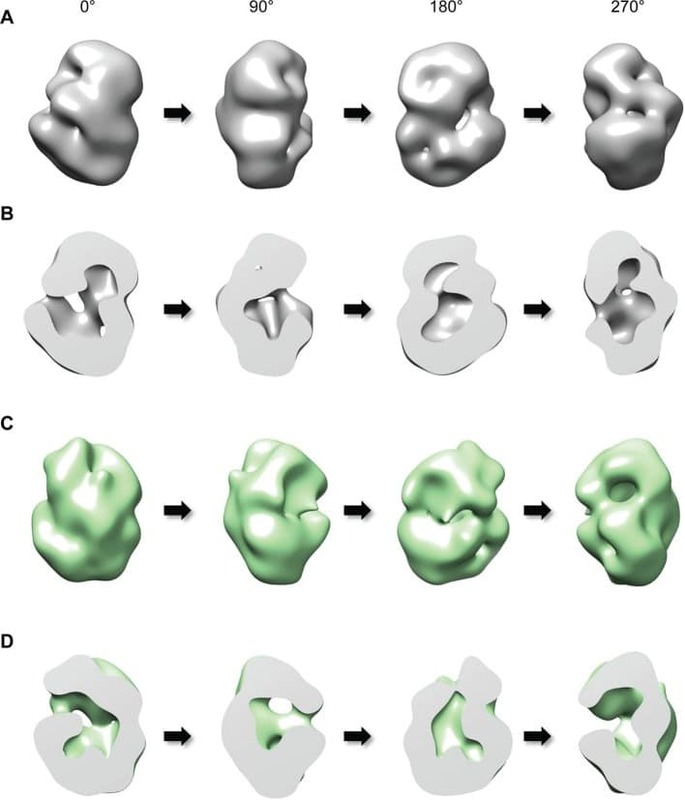 Huntingtin is likely composed of five distinct domains and adopts a spherical α-helical solenoid where the amino-terminal and carboxyl-terminal regions fold to contain a circumscribed central cavity. Interestingly, we showed that the polyglutamine expansion increases α-helical properties of huntingtin and affects the intramolecular interactions among the domains. Our work delineates the structural characteristics of full-length huntingtin, which are affected by the polyglutamine expansion, and provides an elegant solution to the apparent conundrum of how the extreme amino-terminal polyglutamine tract confers a novel property on huntingtin, causing the disease. Proc Natl Acad Sci U S A. 2016 Feb 16;113(7):1871-6. doi: 10.1073/pnas.1511380113. Epub 2016 Feb 1. Tle1 (transducin-like enhancer of split 1) is a corepressor that interacts with a variety of DNA-binding transcription factors and has been implicated in many cellular functions; however, physiological studies are limited. 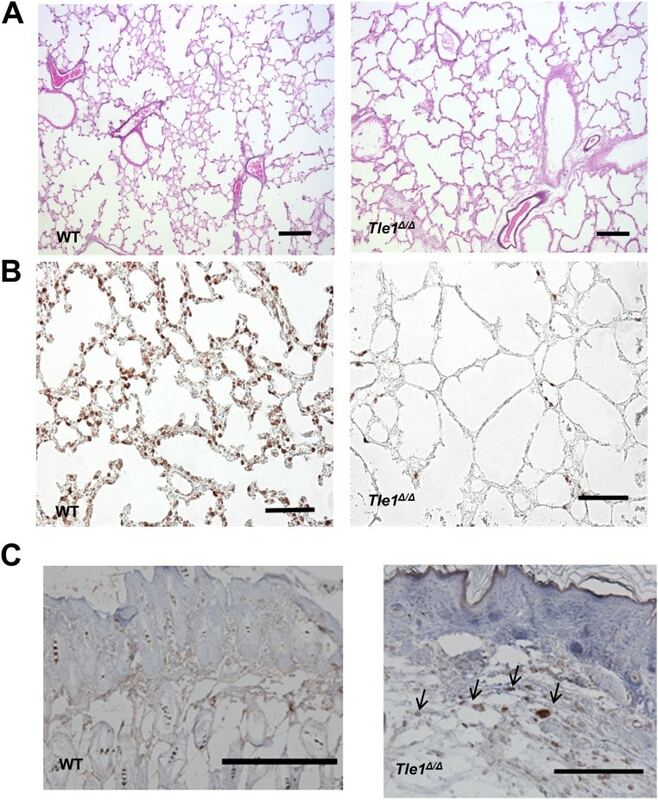 Tle1-deficient (Tle1(Δ/Δ)) mice, although grossly normal at birth, exhibit skin defects, lung hypoplasia, severe runting, poor body condition, and early mortality. Tle1(Δ/Δ) mice display a chronic inflammatory phenotype with increased expression of inflammatory cytokines and chemokines in the skin, lung, and intestine and increased circulatory IL-6 and G-CSF, along with a hematopoietic shift toward granulocyte macrophage progenitor and myeloid cells. Tle1(Δ/Δ) macrophages produce increased inflammatory cytokines in response to Toll-like receptor (TLR) agonists and lipopolysaccharides (LPS), and Tle1(Δ/Δ) mice display an enhanced inflammatory response to ear skin 12-O-tetradecanoylphorbol-13-acetate treatment. Loss of Tle1 not only results in increased phosphorylation and activation of proinflammatory NF-κB but also results in decreased Hes1 (hairy and enhancer of split-1), a negative regulator of inflammation in macrophages. 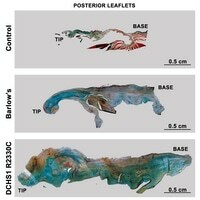 Furthermore, Tle1(Δ/Δ) mice exhibit accelerated growth of B6-F10 melanoma xenografts. Our work provides the first in vivo evidence, to our knowledge, that TLE1 is a major counterregulator of inflammation with potential roles in a variety of inflammatory diseases and in cancer progression. Lancet Neurol. 2015 Dec 18. pii: S1474-4422(15)00338-5. doi: 10.1016/S1474-4422(15)00338-5. 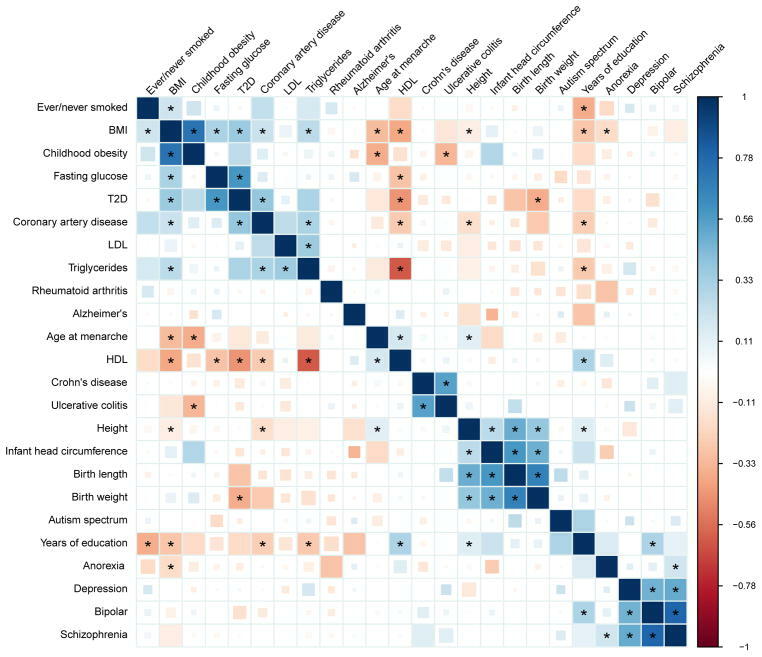 The discovery of disease-associated loci through genome-wide association studies (GWAS) is the leading genetic approach to the identification of novel biological pathways underlying diseases in humans. Until recently, GWAS in ischaemic stroke have been limited by small sample sizes and have yielded few loci associated with ischaemic stroke. 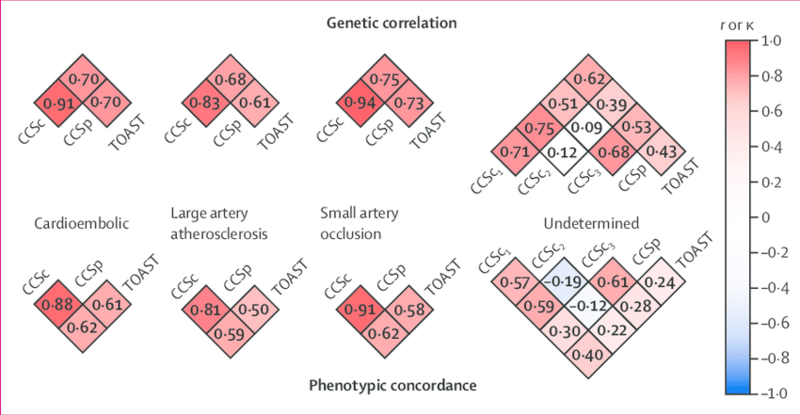 We did a large-scale GWAS to identify additional susceptibility genes for stroke and its subtypes. Our results suggest that all ischaemic stroke-related loci previously implicated by GWAS are subtype specific. We identified a novel gene associated with large artery atherosclerosis stroke susceptibility. Follow-up studies will be necessary to establish whether the locus near TSPAN2 can be a target for a novel therapeutic approach to stroke prevention. In view of the subtype-specificity of the associations detected, the rich phenotyping data available in the Stroke Genetics Network (SiGN) are likely to be crucial for further genetic discoveries related to ischaemic stroke. Brain. 2015 Nov;138(Pt 11):3206-20. doi: 10.1093/brain/awv250. Epub 2015 Sep 15. X-linked adrenoleukodystrophy is caused by mutations in the ABCD1 gene leading to accumulation of very long chain fatty acids. Its most severe neurological manifestation is cerebral adrenoleukodystrophy. 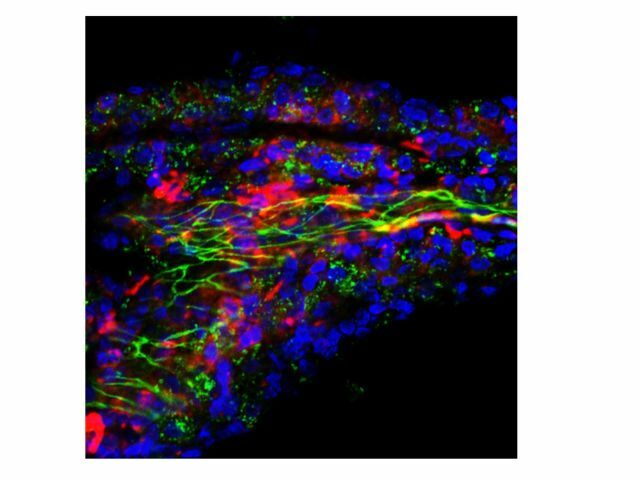 Here we demonstrate that progressive inflammatory demyelination in cerebral adrenoleukodystrophy coincides with blood–brain barrier dysfunction, increased MMP9 expression, and changes in endothelial tight junction proteins as well as adhesion molecules. ABCD1, but not its closest homologue ABCD2, is highly expressed in human brain microvascular endothelial cells, far exceeding its expression in the systemic vasculature. Silencing of ABCD1 in human brain microvascular endothelial cells causes accumulation of very long chain fatty acids, but much later than the immediate upregulation of adhesion molecules and decrease in tight junction proteins. This results in greater adhesion and transmigration of monocytes across the endothelium. PCR-array screening of human brain microvascular endothelial cells after ABCD1 silencing revealed downregulation of both mRNA and protein levels of the transcription factor c-MYC (encoded by MYC). Interestingly, MYC silencing mimicked the effects of ABCD1 silencing on CLDN5 and ICAM1 without decreasing the levels of ABCD1 protein itself. Together, these data demonstrate that ABCD1 deficiency induces significant alterations in brain endothelium via c-MYC and may thereby contribute to the increased trafficking of leucocytes across the blood–brain barrier as seen in cerebral adrenouleukodystrophy. Nat Genet. 2015 Nov;47(11):1236-41. doi: 10.1038/ng.3406. Epub 2015 Sep 28. Nature. 2015 Sep 3;525(7567):109-13. doi: 10.1038/nature14670. Epub 2015 Aug 10. Mitral valve prolapse (MVP) is a common cardiac valve disease that affects nearly 1 in 40 individuals1–3. It can manifest as mitral regurgitation and is the leading indication for mitral valve surgery4,5. Despite a clear heritable component, the genetic aetiology leading to non-syndromic MVP has remained elusive. Four affected individuals from a large multigenerational family segregating non-syndromic MVP underwent capture sequencing of the linked interval on chromosome 11. We report a missense mutation in the DCHS1 gene, the human homologue of the Drosophila cell polarity gene dachsous (ds), that segregates with MVP in the family. Morpholino knockdown of the zebrafish homologue dachsous1b resulted in a cardiac atrioventricular canal defect that could be rescued by wild-type humanDCHS1, but not byDCHS1 messenger RNA with the familial mutation. Further genetic studies identified two additional families in which a second deleterious DCHS1 mutation segregates with MVP. Both DCHS1 mutations reduce protein stability as demonstrated in zebrafish, cultured cells and, notably, in mitral valve interstitial cells (MVICs) obtained during mitral valve repair surgery of a proband. Dchs11/2 mice had prolapse of thickened mitral leaflets, which could be traced back to developmental errors in valve morphogenesis. DCHS1 deficiency in MVP patient MVICs, as well as in Dchs11/2 mouse MVICs, result in altered migration and cellular patterning, supporting these processes as aetiological underpinnings for the disease. Understanding the role ofDCHS1 in mitral valve development and MVP pathogenesis holds potential for therapeutic insights for this very common disease. Cell. 2015 Jul 30;162(3):516-26. doi: 10.1016/j.cell.2015.07.003. As a Mendelian neurodegenerative disorder, the genetic risk of Huntington’s disease (HD) is conferred entirely by an HTT CAG repeat expansion whose length is the primary determinant of the rate of pathogenesis leading to disease onset. To investigate the pathogenic process that precedes disease, we used genome-wide association (GWA) analysis to identify loci harboring genetic variations that alter the age at neurological onset of HD. A chromosome 15 locus displays two independent effects that accelerate or delay onset by 6.1 years and 1.4 years, respectively, whereas a chromosome 8 locus hastens onset by 1.6 years. Association at MLH1 and pathway analysis of the full GWA results support a role for DNA handling and repair mechanisms in altering the course of HD. Our findings demonstrate that HD disease modification in humans occurs in nature and offer a genetic route to identifying in-human validated therapeutic targets in this and other Mendelian disorders. Meningiomas are the most common primary intracranial adult tumor. All Neurofibromatosis 2 (NF2)-associated meningiomas and ~60% of sporadic meningiomas show loss of NF2 tumor suppressor protein. There are no effective medical therapies for progressive and recurrent meningiomas. Our previous work demonstrated aberrant activation of mTORC1 signaling that led to ongoing clinical trials with rapamycin analogs for NF2 and sporadic meningioma patients. Here we performed a high-throughput kinome screen to identify kinases responsible for mTORC1 pathway activation in NF2-deficient meningioma cells. Among the emerging top candidates were the mTORC2-specific target serum/glucocorticoid-regulated kinase 1 (SGK1) and p21-activated kinase 1 (PAK1). In NF2-deficient meningioma cells, inhibition of SGK1 rescues mTORC1 activation, and SGK1 activation is sensitive to dual mTORC1/2 inhibitor AZD2014, but not to rapamycin. 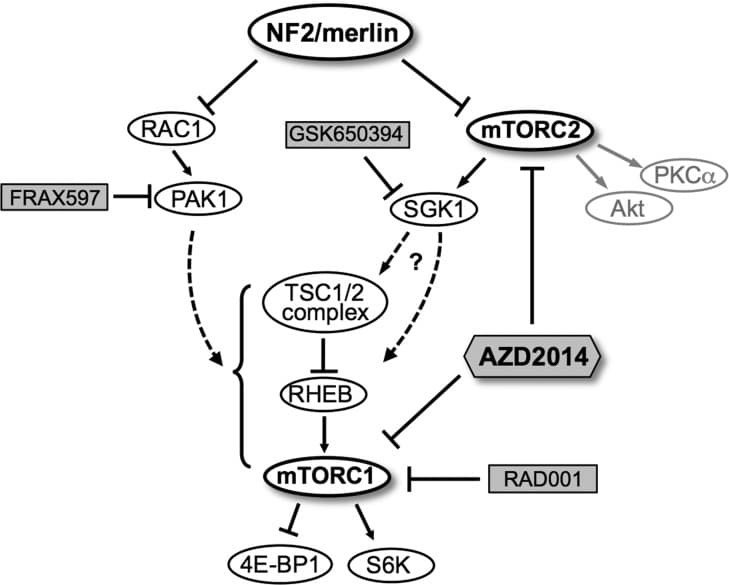 PAK1 inhibition also leads to attenuated mTORC1 but not mTORC2 signaling, suggesting that mTORC2/SGK1 and Rac1/PAK1 pathways are independently responsible for mTORC1 activation in NF2-deficient meningiomas. Using CRISPR-Cas9 genome editing, we generated isogenic human arachnoidal cell lines (ACs), the origin cell type for meningiomas, expressing or lacking NF2. NF2-null CRISPR ACs recapitulate the signaling of NF2-deficient meningioma cells. Interestingly, we observe increased SGK1 transcription and protein expression in NF2-CRISPR ACs and in primary NF2-negative meningioma lines. Moreover, we demonstrate that the dual mTORC1/mTORC2 inhibitor, AZD2014 is superior to rapamycin and PAK inhibitor FRAX597 in blocking proliferation of meningioma cells. Importantly, AZD2014 is currently in use in several clinical trials of cancer. Therefore, we believe that AZD2014 may provide therapeutic advantage over rapalogs for recurrent and progressive meningiomas. J Biol Chem. 2015 Jun 5; 290(23): 14361–14380. Abnormal accumulation of undigested macromolecules, often disease-specific, is a major feature of lysosomal and neurodegenerative disease and is frequently attributed to defective autophagy. The mechanistic underpinnings of the autophagy defects are the subject of intense research, which is aided by genetic disease models. To gain an improved understanding of the pathways regulating defective autophagy specifically in juvenile neuronal ceroid lipofuscinosis (JNCL or Batten disease), a neurodegenerative disease of childhood, we developed and piloted a GFP-microtubule-associated protein 1 light chain 3 (GFP-LC3) screening assay to identify, in an unbiased fashion, genotype-sensitive small molecule autophagy modifiers, employing a JNCL neuronal cell model bearing the most common disease mutation in CLN3. Thapsigargin, a sarco/endoplasmic reticulum Ca(2+)-ATPase (SERCA) Ca(2+) pump inhibitor, reproducibly displayed significantly more activity in the mouse JNCL cells, an effect that was also observed in human-induced pluripotent stem cell-derived JNCL neural progenitor cells. The mechanism of thapsigargin sensitivity was Ca(2+)-mediated, and autophagosome accumulation in JNCL cells could be reversed by Ca(2+) chelation. 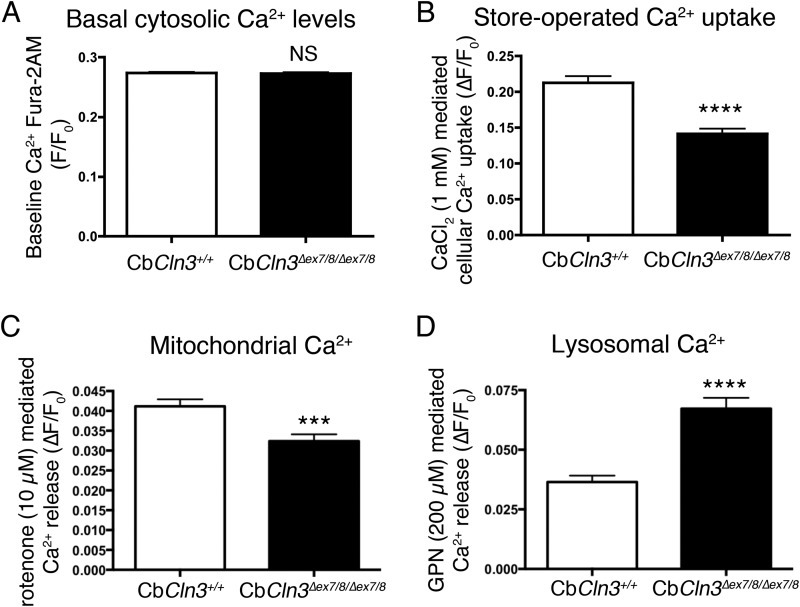 Interrogation of intracellular Ca(2+) handling highlighted alterations in endoplasmic reticulum, mitochondrial, and lysosomal Ca(2+) pools and in store-operated Ca(2+) uptake in JNCL cells. These results further support an important role for the CLN3 protein in intracellular Ca(2+) handling and in autophagic pathway flux and establish a powerful new platform for therapeutic screening. We examined the effects of isoform-specific histone deacetylase (HDAC) inhibitors on β-catenin posttranslational modifications in neural progenitor cells (NPCs) derived from human induced pluripotent stem cells (iPSCs). β-catenin is a multifunctional protein with important roles in the developing and adult central nervous system. Activation of the Wnt pathway results in stabilization and nuclear translocation of β-catenin, resulting in activation of multiple target genes. In addition, β-catenin forms a complex with cadherins at the plasma membrane as part of the adherens junctions. The N-terminus of β-catenin has phosphorylation, ubiquitination, and acetylation sites that regulate its stability and signaling. In the absence of a Wnt signal, Ser33, Ser37, and Thr41 are constitutively phosphorylated by glycogen synthase kinase 3β (GSK3β). β-Catenin phosphorylated at these sites is recognized by β-transducin repeat-containing protein (βTrCP), which results in ubiquitination and degradation by the ubiquitin-proteasome pathway. The N-terminal regulatory domain of β-catenin also includes Ser45, a phosphorylation site for Casein Kinase 1α (CK1α) and Lys49, which is acetylated by the acetyltransferase p300/CBP-associated factor (PCAF). The relevance of Lys49 acetylation and Ser45 phosphorylation to the function of β-catenin is an active area of investigation. We find that HDAC6 inhibitors increase Lys49 acetylation and Ser45 phosphorylation but do not affect Ser33, Ser37, and Thr41 phosphorylation. Lys49 acetylation results in decreased ubiquitination of β-catenin in the presence of proteasome inhibition. While increased Lys49 acetylation does not affect total levels of β-catenin, it results in increased membrane localization of β-catenin.